Exit West follows the story of Saeed and Nadia, two people who meet in an unnamed country, that is on the brink of civil war. Like the refugees in the story, they flee the country not by boats, but through ‘magical doors’. The story follows their struggles, as they try to hold on to each other and their relationship, face both kindness and hardships in refugee camps, and tackle the emotional turmoil of leaving one’s homeland. The first half of the book introduces us to the two main characters Saeed and Nadia, who meet at an evening class on ‘corporate identity and product branding’. Their relationship grows amidst all the chaos in the city. They are two very ordinary people, who grab a coffee together, have dinner at a Chinese restaurant and exchange instant messages with each other while at work. As their love blossoms, the conditions in their city starts to deteriorate. There are constant gun shots, periodic raids, cell phone signals are cut, and helicopters and drones swarm the sky. Even though uncertainty prevailed, I felt the Saeed and Nadia tried to keep their normalcy alive. Even though it is a love story set against a refugee crisis, it is by no means a heavy read. In fact, the first half of the book had a good pace to it. The words have flowed so beautifully, almost lyrical and poetic. The descriptions are so vivid, that you want to reread it again to take it all in. For the first time Mohsin Hamid uses the element of magical realism in this book. Though the book is about migration, we do not see refugees travelling by boat or places and there is no focus on the logistics of migrating. Instead there are magic doors, much like ‘The Chronicles of Narnia’, which is also one of Hamid’s favorite novel. The ‘magical doors’ essentially transport you to another country, when you pass through them. The doors are not easy to come by either and are heavily guarded. Through these doors, Saeed and Nadia arrive on the Greek island of Mykonos, London, and a town in California. I did feel like second half of the book, was slower in its pace. For some reason, I was anticipating something more dramatic to happen. Still, with its beautifully crafted sentences, often long and winding, the plot did not seem to move forward much. But this book is perhaps more about evoking feeling, as opposed to being plot-driven. I think listening to the author talk about his book, puts the context in perspective much better. By force of habit, I always look up an author’s bio and his talks on his book. I feel it helps us understand his own frame of mind, and consequently the book better, Here are a couple of clips that I enjoyed listening to where Mohsin Hamid talks about his book Exit West. 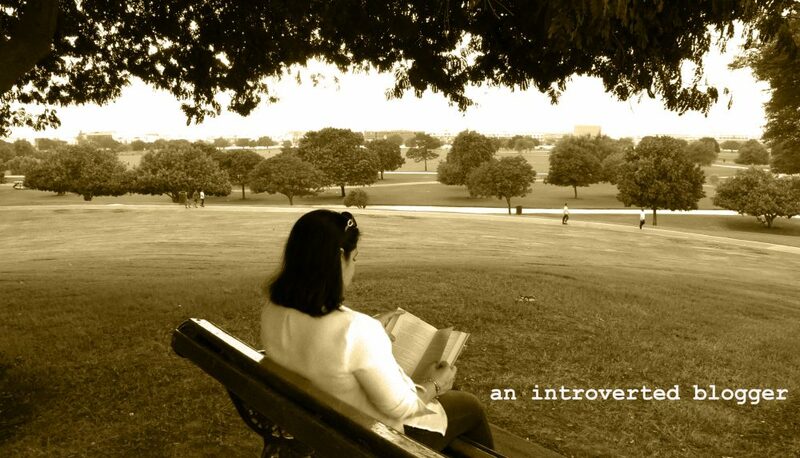 This entry was posted in Reviews and tagged an introverted blogger, book blogger, book nerd, book review, books, doha blogger, Exit West, expat blogger, fiction, Man Booker, Migration, Mohsin Hamid, Refugees by An Introverted blogger. Bookmark the permalink. Insightful review! You were able to criticize the novel in such a way that it’s enticed me to read it, I’ll definitely be checking it out. I wasn’t aware that Mr. Hamid has started experimenting with magical realism, so that means his writing style has evolved since Moth Smoke and How to Get Filthy Rich in Rising Asia. Also, it was a brilliant idea to incorporate the Mohsin Hamid interview on WSJ as it really complemented what you were saying in your own review of Exit West. And yes, I appreciated his honesty that the world is sensible in being both afraid of migrants at first glance but then ultimately accepting them. The world now is indeed more digitally globalized and exploring migration through a novel is what many writers have done, but maybe Exit West is more unique than the others’ attempts at neo-colonized literature. I have picked up The Reluctant Fundamentalist thrice in three years that I have owned it but never got past few pages .But hearing about Exist West so much these days and such good reviews including yours ,I think the author deserves another shot . This is a wonderful review of Exit West! I too loved the lyricism of the language in the first part of the book. I did like the long and winding sentences; I write like that myself, most of the times, and that is how my writing is likely to stay, unedited. I love reading your blogs. This review seems pretty interesting. Would like to read it. Will have to look for this book, you’ve made it sound intense… I’m enticed! Sounds like a book with a powerful message but one not sticking to norm, but one with magical realism to help add that little something to the plot. I’ve actually not heard of the book before. I’ll have to look out for it. I have heard so much about this book and your review makes me want to read it more! I agree that this isn’t a heavy book, in spite of the dark topic. He focuses so much on the characters and their feelings, rather than on the details of the horrors they face. Great review of what seems to be a provocative read! I haven’t heard of this book but it definitely sounds like something that’s worth looking into 🙂 Great review! This sounds like a beautiful book. With calling it magical realism and mentioning long sentences, it makes me think of Gabriel Garcia Marquez. His books are incredible, but very hard to get through. I didn’t enjoy it initially…but then came across some of his thoughts on the book and had a re-think. A good book club book I think…lots to discuss and ponder. Like how you’ve taken the nuggets out of the book in your write-up! This looks really interesting! Thanks for sharing the review. A beautifully written and thorough review. I enjoyed reading it, as I enjoy most of your writings. Love your profile pic! Thanks!! Appreciate you stopping by for a read as always!